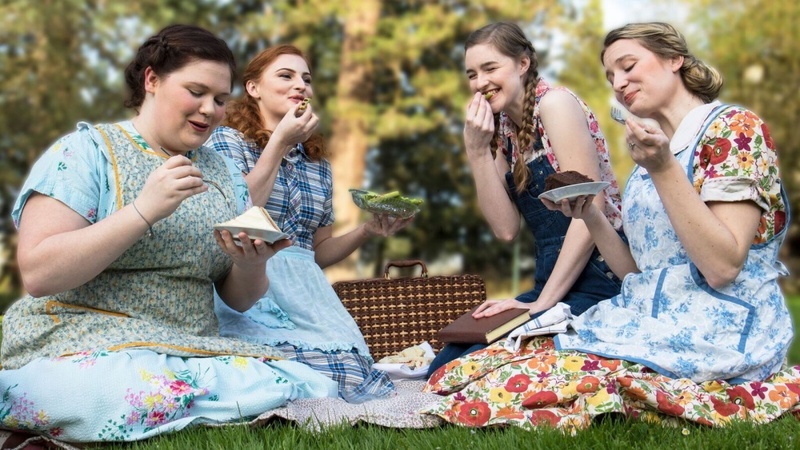 University Theatre will present “Picnic,” William Inge’s award-winning play about small-town life in the 1950s, and invite students to bring their grandparents to one of the shows. Directed by Tricia Rodley, the play will be performed in the Hope Theatre in the Miller Theatre Complex. Performances will be April 20, 21, 27 and 28 and May 4 and 5 at 7:30 p.m.
Also, at a matinee showing at 2 p.m. Sunday, April 29, students are encouraged to bring their grandparents. A reception will be held in the lobby following the performance. Tickets range from $8-$10, but UO students are admitted free. More information about pricing, ticket purchases and free tickets for UO students is available online. In “Picnic,” generations of women prepare for Labor Day celebrations in their small town, but a young drifter inspires life-changing choices. The play won the Pulitzer Prize in 1953 and challenges audience members to revisit 1950s America from today’s vantage point. “Picnic” premiered on Broadway in 1953 and as a Hollywood film in 1955. According to Rodley, putting the play into production now offers the UO audience an opportunity to engage with Inge’s work as a drama of its cultural movement and also as a work that exposes some of the pre-feminist tensions in America that Inge was writing about.